On Saturday I packed up all my stuff and left my parents’ place for the last time this season. 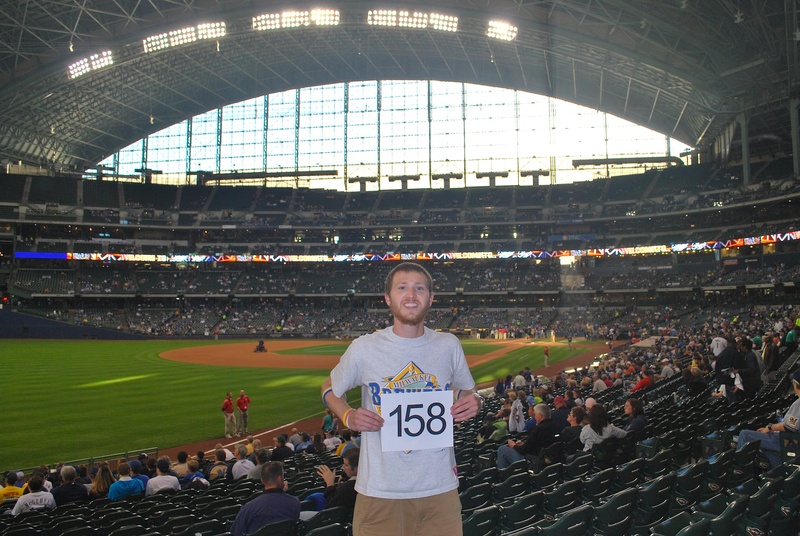 It feels like yesterday that I woke up at 3:45 AM to do my interviews at Miller Park on Opening Day. Time flies when you’re having fun. I got to Miller Park at 3:35 on Saturday and after dropping my extra ticket off at will call I went back to the general lot. I handed out 75-100 business cards and it looks like I won’t have many left after all. There are a bunch of registry drives coming up in the Milwaukee area. 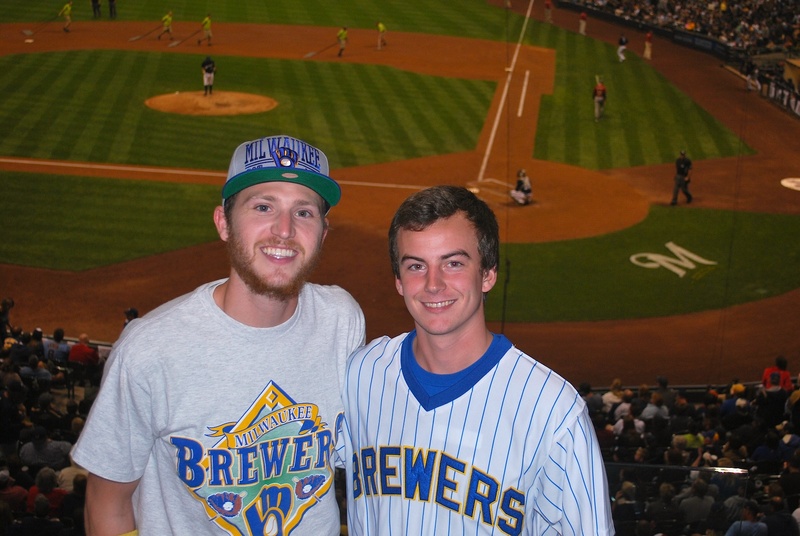 I met Brandon, who joined me at the June 18th game vs. the Blue Jays, outside of the home plate entrance at 5:30. 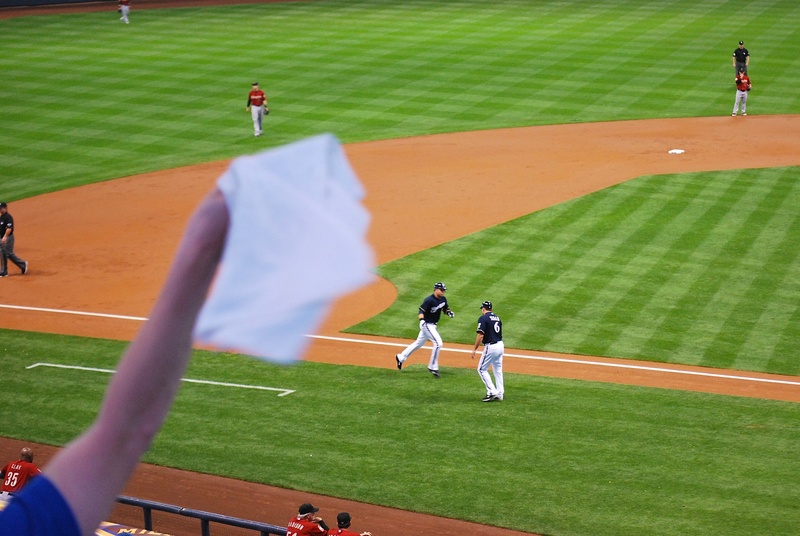 We headed inside and went to section 129 for game photo number 158. Thanks to Brandon for being patient with me. As we get further down the line the angle makes it a little more challenging. 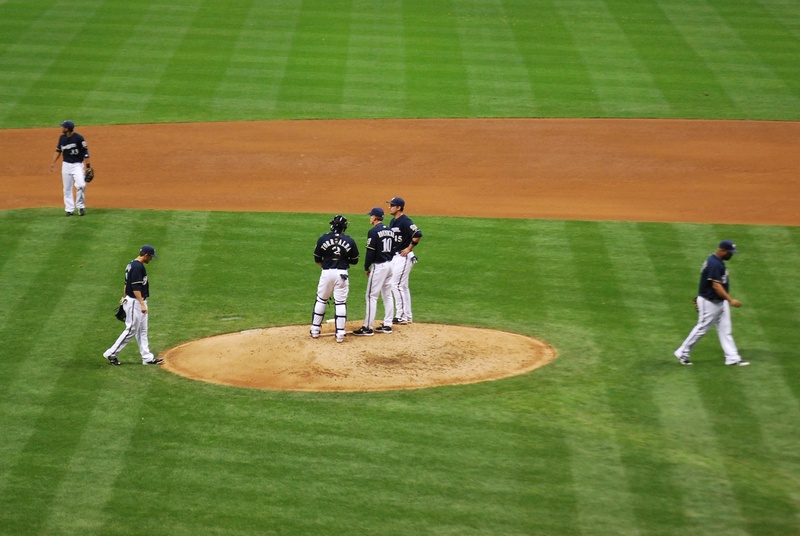 In the bottom of the 2nd inning Aramis Ramirez and Corey Hart went back-to-back to give the Crew a 2-0 lead. 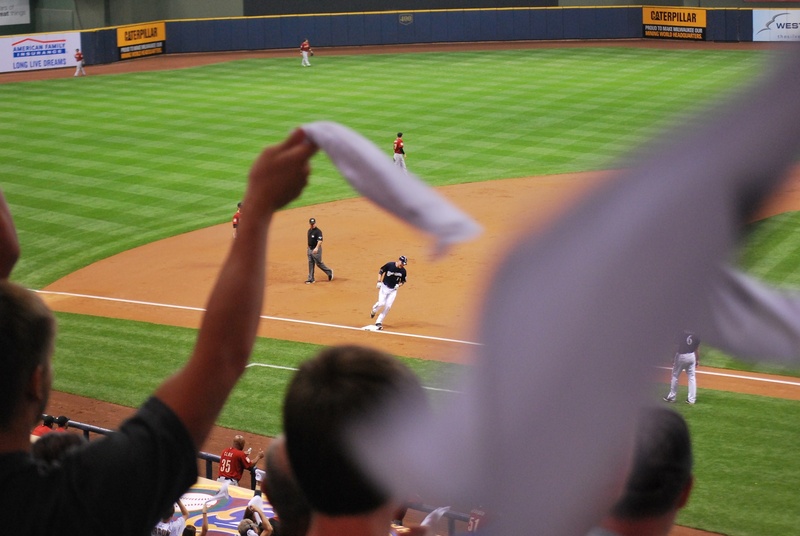 If you can’t tell they gave out rally towels again. I’m not complaining by any means and I actually really like the second picture with Corey framed by the towels. 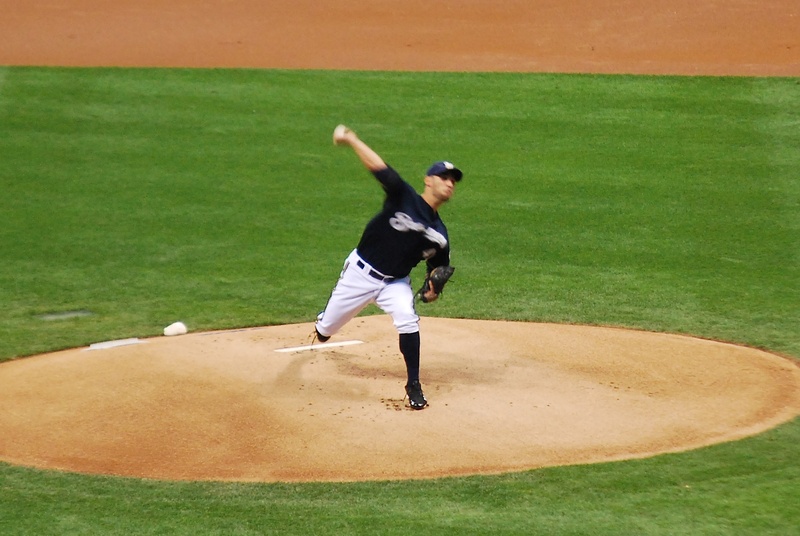 A two-run single by Aoki later in the inning doubled the Brewers lead to 4-0. 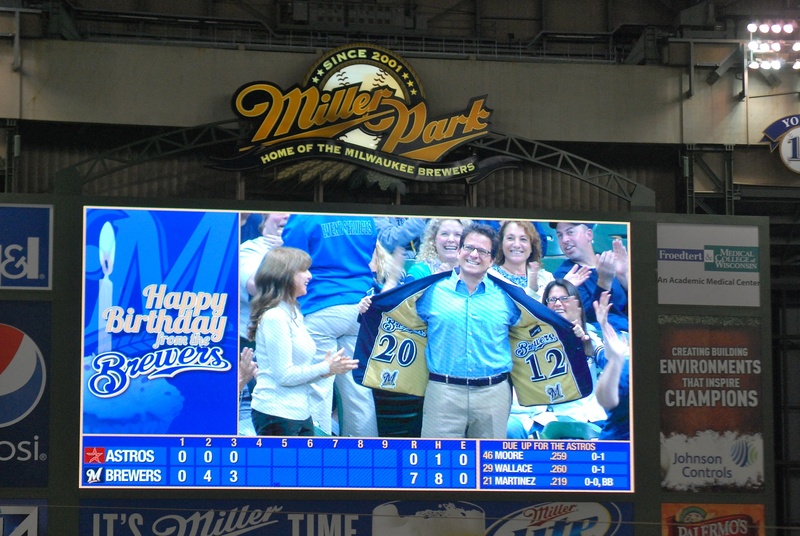 The Brewers led 7-0 after the 3rd and between innings the scoreboard displayed a Happy Birthday message to Brewers owner Mark Attanasio. His seats are right next to the Brewers dugout and he got some face time. He showed off a 2011 sport coat last year during the playoffs last year. In a word: Awesome. 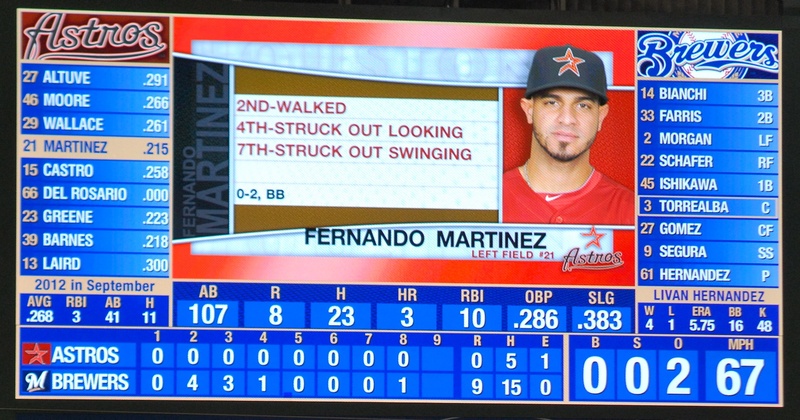 Livan Hernandez was pitching and Martinez quickly changed that zero in the linescore. 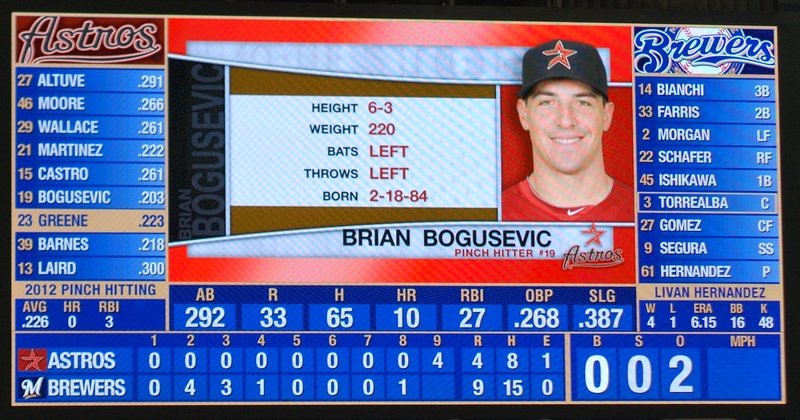 I thought for sure that this would be the final linescore, that was until Castro singled and Bogusevic took Livan deep. 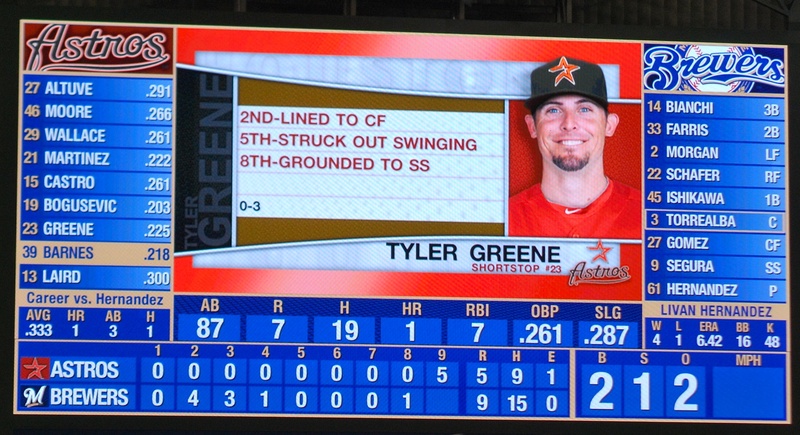 When the count went to 2-1 on the next hitter (Tyler Greene) I leaned over and told Brandon “one more homer and…..” [Livan will be gone]. Bang!!! Jose Veras came in and threw four pitches to finally shut the door. 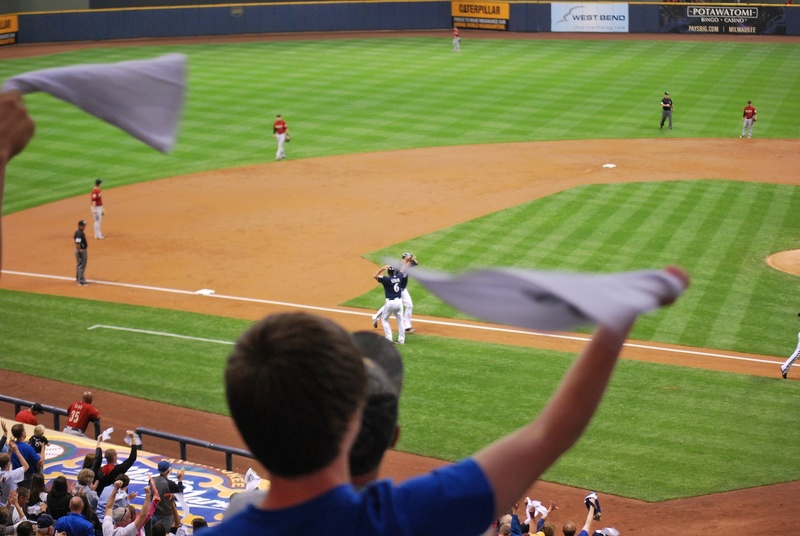 Final score: Brewers 9 – Astros 5. At some point I had Kathy, who sits behind me on Saturdays, take a picture of me and Brandon. 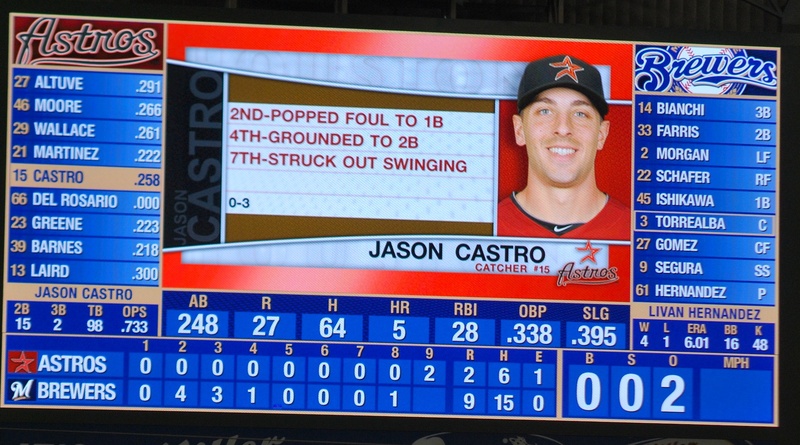 I think it was in the 8th or 9th inning when a foul ball came back into section 221 and deflected off some hands and hit a guy in the face. Police and medics came by and he was holding his nose for the rest of the game. 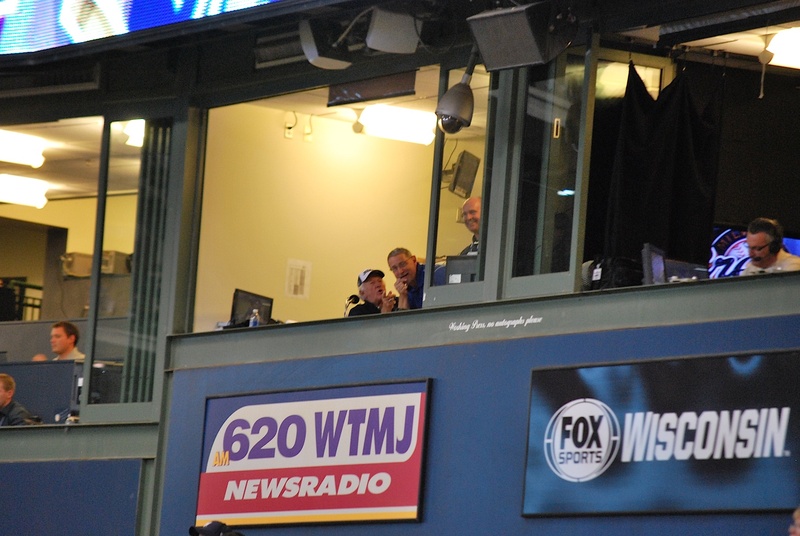 I looked back at the 620 WTMJ booth and saw Uecker and someone else pointing out towards the injured fan. It looks like they were laughing but I’m not going to judge (they could’ve been talking about something else). It just so happens that Adam McCalvy made the picture (far left) and so did Bill Schroeder (far right). Yay! I’m staying at Brandon’s parents’ place in Germantown and then heading to the game tomorrow before going back to Madison. Only four games left, where did the season go?